Pene owns the salon with her sister, Ann. 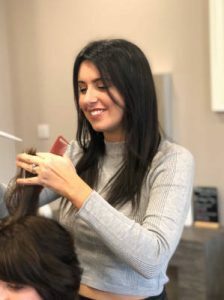 Pene is fully trained and experienced in fitting wigs at our Innovation Wig & Hair Loss Clinic (visit our dedicated website) within the Gosport salon. She gives advice, support and aftercare to help clients with hair loss, whatever the cause. Pene is also a fully qualified hair stylist and assessor, helping our apprentices to gain their qualifications. Kate is very confident in all aspects of hairdressing and enjoys new creations with cuts and colours. She loves taking care of her clients to ensure they are happy with the service provided at Innovation. Kate is also an in-house hairdressing assessor. 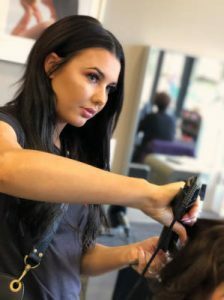 Rachel loves all aspects of hairdressing and barbering. 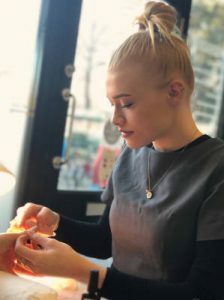 Her fun and friendly personality reflects in her hairdressing and she loves meeting new people. Rachel is fully trained in Zen tape extensions which not only add length but volume and thickness too. 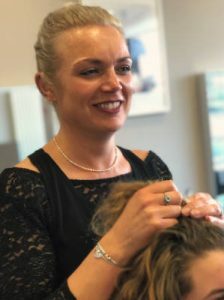 Rachel also works alongside Pene in the Innovation Wigs & Hair Loss Clinic, giving full support, advice and after care to all clients. 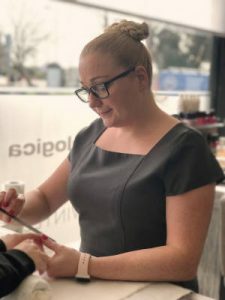 Rachel is trained in La Biosthetique, personalised hair loss treatments which are part of the dedicated Hair Loss Clinic. Jenna is Head of the artistic team and one of our assessors at the Innovation salon. Her experience gives her confidence with up and coming trends and ensures she meets her client’s expectations. She is also a milk_shake educator so is always be on hand for any advice our team needs. 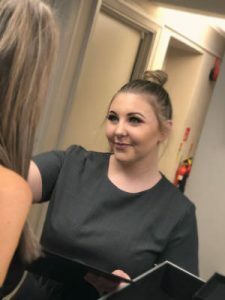 Jenna was nominated for Colour Technician of the Year 2018 and this years’ Southern Hair and Beauty awards after being shortlisted out of hundreds of entries. She was honoured to be announced the Winner of the ‘People’s Choice Award 2018’. 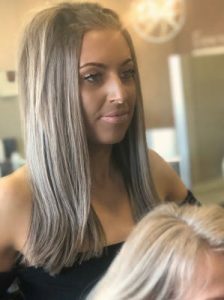 This year there were 13 categories and over 1000 clients voted via text message for the people’s choice and they crowned Jenna their favourite Colour Technician of the year. Linda is our front of house, making sure your first and following experiences are memorable ones. 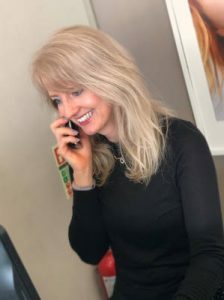 Linda can help with appointments, existing bookings and further information on the range of hair and beauty services at Innovation. 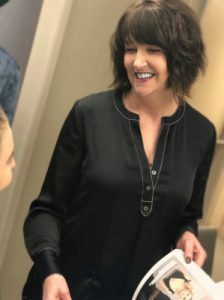 Julie is one of our senior stylists. 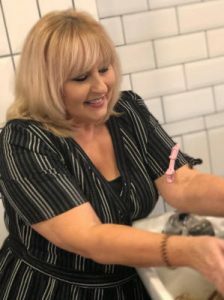 She is experienced in all aspects of hairdressing and enjoys nothing more than helping her clients feel their best. Michelle is one of our qualified senior stylists and a member of our art team. She is always looking out for others and takes a lot of care with all her clients to ensure they are happy with the end result. 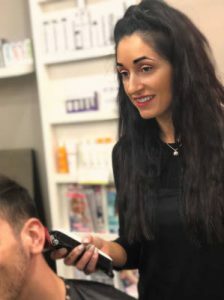 Michelle is also trained in La Biosthetique, personalised hair loss treatments which are part of our dedicated Hair Loss Clinic in Gosport. 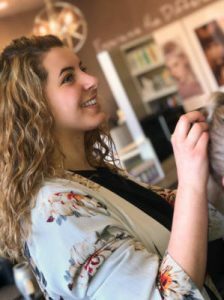 Sophie is one of our senior stylists. 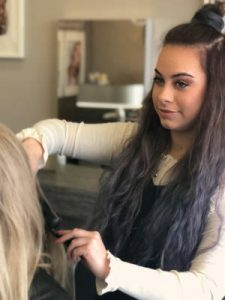 She is confident in all aspects of hairdressing but especially loves colouring and cutting to create the perfect style for you. Sophie’s calm nature is sure to make you feel you are being well looked after. Lucy is currently on maternity leave. Lucy is our stylist who loves creating new looks through colour or cut. 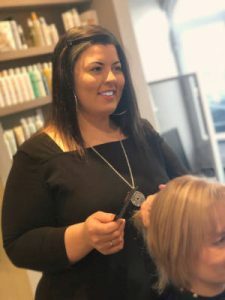 She always enjoys taking care of her clients to ensure they leave the salon looking and feeling amazing. She is a member of the artistic team. 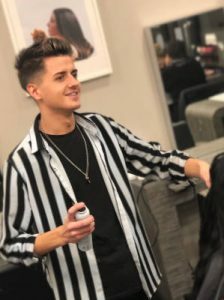 Gina is our graduate stylist and is NVQ Level 2 qualified. She is working towards her Level 3 Advanced. Gina is a bubbly member of our team and is enjoying building her client list. Alissa is working towards her NVQ Level 2. She is enjoying learning her hairdressing skills and being part of a team. Kayley is a very helpful and friendly character. Her creative nail designs are flawless and she can customize any nail design to her client’s taste. She is also one of our HD Brow Technicians. She is also one of our HD Brow Technicians which ensures her clients leave with the perfect shape. She is always happy to help and open to new challenges. Lou joined the Innovation team with a passion for all things holistic and one of her specialities is Reflexology. 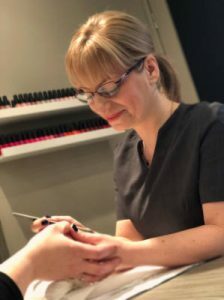 She enjoys nothing more than making her clients feel relaxed and rejuvenated, and also enjoys all aspects of beauty therapy. Lou is also Dermalogica Certified. Jessica is Dermalogica Certified and is also our make up artist. This includes natural make up or glamour, whichever is right for you.